Category: Product sales + GWP offers! 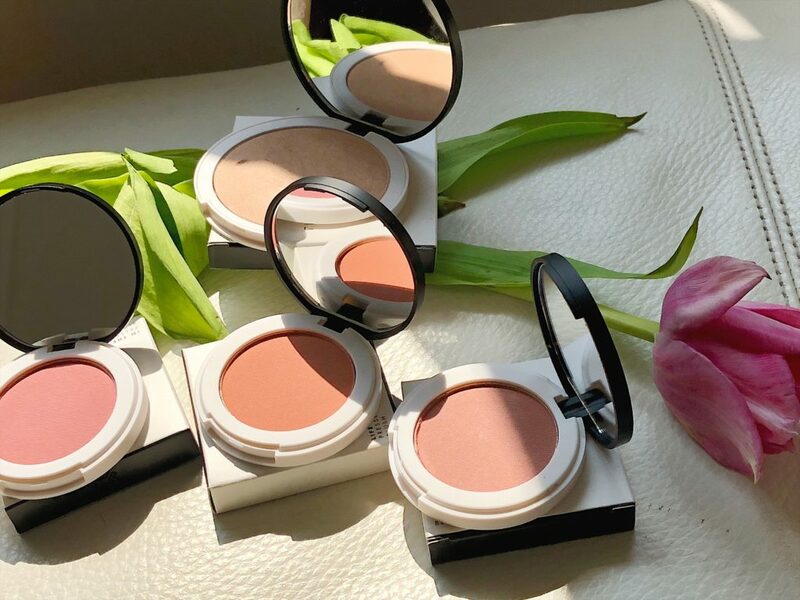 Trilogy skincare + Lily Lolo Makeup is now 20% off! May 21, 2018 May 21, 2018 by Evelyn, posted in Product sales + GWP offers! Our Trilogy collection is now 20% off! Products on sale include: Enzyme cleanser, cream cleanser, hydrating mist toner, Vital moisturizer, balancing lotion, ultra hydrating cream and coq10 recovery eye treatment. Lily Lolo is 20% off! Also, If anybody’s in search of a beautiful, all-natural blush, I currently have three shades in stock and they’re 20% off! December 4, 2017 December 5, 2017 by Evelyn, posted in Beauty Tips, Health & Beauty Event, Product sales + GWP offers! 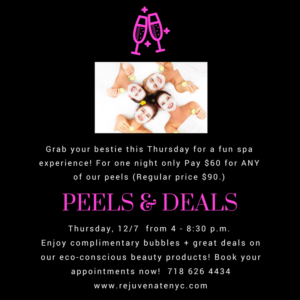 PEELS & DEALS event this Thursday, December 7th from 4 -8:30pm. So grab your best friend and head over to rejuvenate for complimentary bubbles, $60 peels for you + a friend and a 15% discount on our organic makeup and skincare collections!